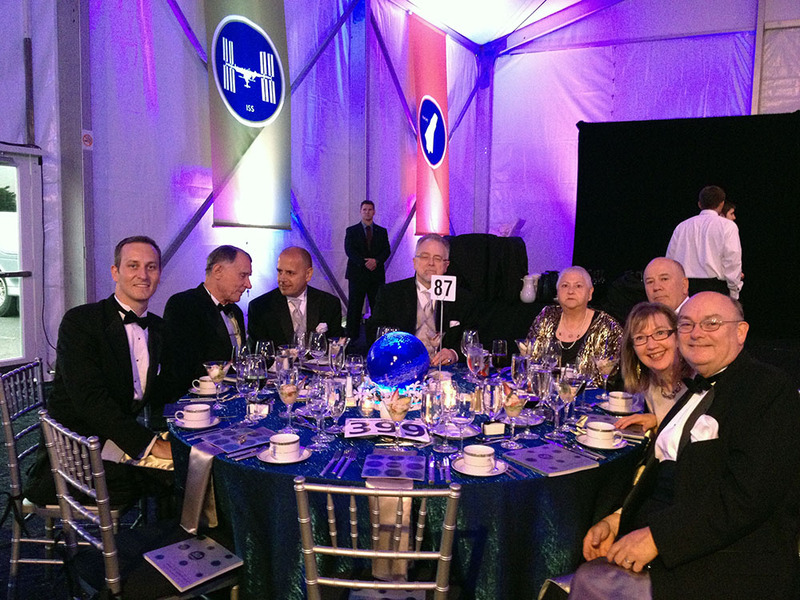 The Museum of Flight conducts a gala fundraiser every year with different themes that span the gamut of flight and space. This year is a unique combination of the 50th anniversary for J. F. Kennedy setting the stage for a lunatic space race won with one giant leap for mankind on the moon and the (some say premature) retirement of the Space Shuttle. The museum also built a new wing and bid (albeit unsuccessfully) for a space shuttle. The Museum of Flight, a non-profit organization, benefits from being in close geographical proximity to companies and rich people involved or interested in space and flight, from Boeing to Charles Simonyi, veteran Microsoft pioneer and the first space tourist to go twice to the International Space Station. The event started at the new wing of the museum, originally slated for a Space Shuttle but settling for the space shuttle trainer last used in preparation for STS-135. Also in the new wing - the Soyuz-14 capsule (on which Charles Simonyi flew in 2009), a 1:2 Hubble model and a glimpse into the new and future players in the launching and space vehicle transportation business like SpaceX, Sierra Nevada and Blue Origin, with the currently planned NASA Space Launch System also thrown in for good measure. I also had my picture taken at a new photo-op spot of a shuttle taking off. Jeff Bezos himself was there as an honoree with a few other Blue Origin employees, representing the private space companies (I would actually prefer seeing Elon Musk there, as SpaceX is the only company which proved its ability to match nations in space hardware and launch operations, but I settled for the bald guy with the roaring laughter). At the table - recognize me with a tux? A bagpipe band led all of us tuxedo and evening gown wearers into the event tent. Each of the 100 or so tables had a hand-blown glass sphere lit up from below which symbolized Earth, except for the tables of the two moon-walkers that were present, Buzz Aldrin and Gene Cernan (those were white like the moon) and a red one for Mars. I sat in a table with a veteran Boeing software engineer, a pilot and a CEO among others, next to several tables sponsored by airlines, and over the course of the evening roamed around to shake some hands, exchange words with space icons and get a better viewpoint of the stage. The schedule of the event ran longer than planned, not unlike a lot of space programs (both private and governmental). The program alternated between one of 5 courses symbolizing the decades of manned spaceflight, a short video talking about the different programs - X-15, Mercury, Gemini, Apollo, Skylab, Apollo-Soyuz, Space Shuttle and beyond, followed by the astronauts, cosmonauts and other people pivotal in the history of human spaceflight, pertaining to the program which was just presented. Buzz Aldrin (Apollo 11), Gene Cernan (last moon-walker), Gene Kranz (legendary NASA mission controller including Apollo 13), Bill Anders (Apollo 8, took the humbling Earth-rise picture), all the way to Brian Binnie (pilot of SpaceShipOne and soon SpaceShipTwo), all in the same tent, announced and coming on the stage one by one. 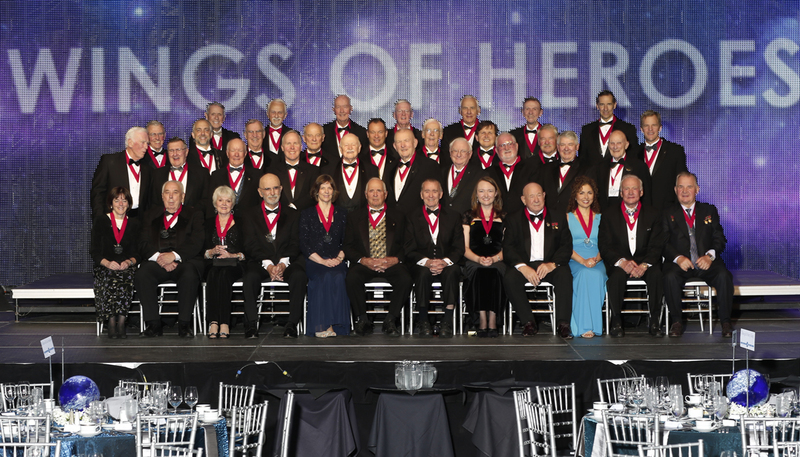 Also attended - Mark and Rick, Neil Armstrong's sons, who gave us a glimpse to the icon as a father, the widow of Roger Chaffee who died in the Apollo-1 fire, the two Apollo-Soyuz cosmonauts Valery Kubasov and Alexey Leonov, and Space tourism trail blazers Charles Simonyi and Anousheh Ansari. Standing ovation after standing ovation. There is no doubt in my mind this was a once in a lifetime event. A group of so many who trail-blazed human spaceflight, a list so big and spanning all of the history of human spaceflight, is an extreme rarity. In a few years this will not be repeatable with all the money and good will in the world, as painful as Neil Armstrong's passing reminds us that even they succumb to time like the rest of us. All else, while enjoyable and contributing, was secondary to the fact that us attendees got closer to space that evening. We all shook hands and got to talk with legends. We also did our small part, contributing to a wonderful museum that plays a part in inspiring and educating what could become the next generation of astronauts, scientists and engineers. You can see more pictures from the event taken by photographer Long Bach Nguyen here.